Your choice of real estate agent can have a significant impact on the sale of your property. Not only can the right agent make it quicker and less stressful, they can likewise have a significant effect on the sale price of your home. Finding the suitable property agent isn’t as straightforward as strolling into the nearest office or picking the individual with the flashiest marketing. There are a number of criteria that can assist you finding the right real estate agent for you. In NSW agents must be certified to work under the supervision of a licensed agent. Presently the highest accreditation is a Diploma in Property. A Certificate IV is the minimum qualification a licensed agent may hold. An expert on, as a rule, holds individuals to a higher arrangement of gauges than general authorizing necessities. It additionally furnishes customers with a point of contact to help settle debate or submit protests. Realizing your agent is the individual from an expert affiliation can give you genuine feelings of serenity that they’ve accomplished an appropriate dimension of mastery to deal with your property dealing. Notwithstanding government licensing, endorsement from an industry body like The Real Estate Institute of NSW (REINSW), is another great sign. The agency will need to reach a level of proficiency to be given the endorsement by the body which gives you peace of mind. The body will then keep the agency to a standard. Maybe the most ideal approach to isolate the great agents from the terrible is through reviews and recommenations. In the event that you have friends or family who have sold a property, get some information about the agent they engaged and whether they had a good experience. On the off chance that you don’t know anyone who has sold a property in recent times, you can check online reviews on ratemyagent.com.au or google to gauge other clients experience. One of the more critical variables to consider is whether you work with your agent’s character and personality. You’ll be cooperating intently all through the way toward selling your property. While your agent doesn’t need to be your closest companion, the process will be much smoother in case you’re agreeable around each other. Finding a real estate agent you like and can work with is important. However, their level of competency is far more important. 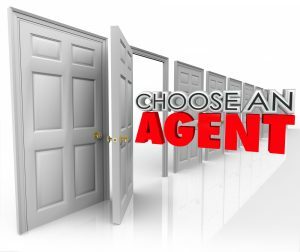 You must also consider how the agent will come accross to a buyer, in the event that an agent strikes you as dishonest, unpleasant or off-putting, chances are purchasers will feel a similar way. The best sign you can have of a agent’s future outcomes is taking a gander at their past triumphs. A winner will have a great track record of not only the sale ie. getting the job done. But also the outcome for the seller. It’s likewise a smart thought to get a look at a potential agent in real life. Prior to seeking out their assistance, you could consider going to an open home so you can see the way they conduct themselves. The manner in which your agent markets your property and the strategy for advertising may well be instrumental in finding in prospective purchasers. When you’re seeking a potential agent, see if they know the difference between marketing & advertising. Feel free to ask our agents, we do! Taking a look at an agent’s current listings can be useful not just in deciding if they are an ideal choice for your property. It may also show you if they have the tim to commit the time your property. It’s great that they have similar property. But if they have too many which will be the preference to sell first. This is really the trickiest part. In real estate, which is consignement sales, the best works out to be the cheapest. This is by virtue of the fact that the best agent yields the highest price. Therefore that agent puts more money in your pocket. So, when it comes to real estate choose the most professional and skilled agent available as they will be the most economical choice in the long run. Now agents in this area will usually range from 1.5% – 3%. The cheapest is usually not the best and the most expensive may not be the best value. Beware of the fixed cost up front payment models. Remember a tradtional agent only gets paid when the job is done and on a percentage of the price. Therefore it is in their best interest to acheive a great result for you. The fixed fee up front models leave no incentive for the agent to complete the job and often leave sellers having to pay twice as if an agent is paid upfront they have no incentive to obtain the result.